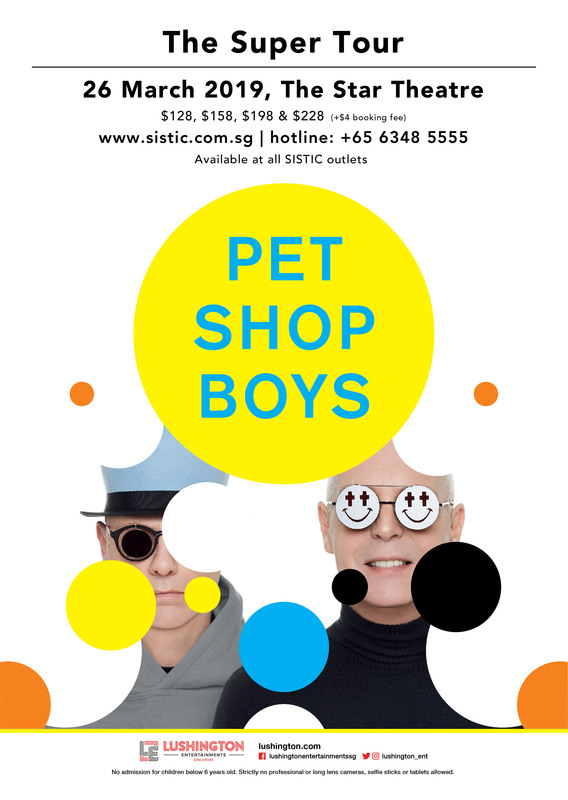 Lushington Entertainments is proud to announce British duo Pet Shop Boys will bring The Super Tour to Singapore one night only – 26 March (Tue), 8pm at The Star Theatre, The Star Performing Arts Centre. Lushington mailing list subscribers will be able to purchase pre-sale tickets on 29 November 2018 (Thursday), 10am to 11:59pm. For membership sign up, please visit www.lushington.com/subscribe. Pre-sale code will be sent to all subscribers on 28 November evening. Tickets available from https://www.sistic.com.sg, hotline +65 6348-5555, all Sistic outlets.